What’s the point of the stamina ? What are the changes due to running off stamina ? I see people blocking for ages and never took damages. I see Grievous slashing 10 times (stamina run of at 3 times for him) before hitting and then do as much damages as with stamina (basically took 1/3 of Heroes health). I see people able to hit after being blocking for ages. So the question is, what is the point of stamina. What are the effect of having our stamina drained ? Nowhere there is a user manual about this. Reduction of damages ? How many ? Loss is speed ? I don’t think so. Unable to block ? A dodge and it’s refreshed ! 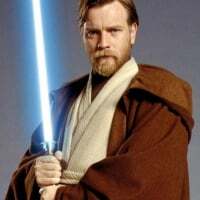 If you attack with no stamina, your lightsaber doesn't have the auto-locking lunge that it normally does so it's a bit harder to close the gap and 'aim.' Thing is, if you and your opponent are both spamming, aim barely matters. Unfortunately, the stagger from a successful block and low stamina drain from blocking basically make it the end all, be all strategy. HOWEVER, this is set to change in February with the big lightsaber changes. Once a saber user runs out of stamina, then they will no longer be able to attack at all (last I saw). I don't know what they are going to change about defense outside of removing the stagger from a blocked strike (like Grievous and Kylo do now, maybe even a bit smoother). From what I've seen that is already implemented. The block SHOULD require just as much stamina as an attack however. You can't block a full on attack with less strength than is coming at you. It's called physics. The only exception would be blaster fire.